Soilmoisture is using VMware's hypervisor to run business-critical workloads. The company has virtualized their tier one applications and databases including Microsoft Exchange, SharePoint, domain controller, data servers, and QAD MFG/PRO for sales, accounting, inventory and shop floor control. For a few years, Soilmoisture has used a VM data protection product to protect their VMware infrastructure: business-critical VMs were backed up daily and backup copies were sent offsite for secure storage. As the company's infrastructure has grown, so did the need for VM data protection. "However, the other vendor could not resolve a very simple reseller's mistake, where a 1-socket license was bought instead of a 2-socket license for our new ESXi server. To make things worse, after spending money on additional licenses and maintenance, we were then told we have NO valid licenses," said Robert Elliott, Computer Services Manager at Soilmoisture. "So we went shopping and studied all VM backup solutions available on the market," said Robert. "What we found is that NAKIVO Backup & Replication is not only equivalent to our current VM backup, but it is easier to use and much more affordable to buy and maintain," he added. NAKIVO Backup & Replication is VMware-certified, purely agentless, and can be deployed on both Linux and Windows. Featuring a simple and intuitive Web UI, the product can back up and replicate VMware VMs onsite, offsite, and to private/public. NAKIVO Backup & Replication supports live applications and databases, instantly recovers VMs, files, and application objects directly from compressed and deduplicated VM backups, speeds up data transfer with network acceleration, and reduces data size with global deduplication and compression. Soilmoisture now uses NAKIVO Backup & Replication to protect their business-critical VMs. After deploying the product, the company has successfully performed file and VM recoveries. "NAKIVO Backup & Replication enables us to reliably protect our VMware infrastructure at a price point that is at least 2X lower than competitive products," said Robert. 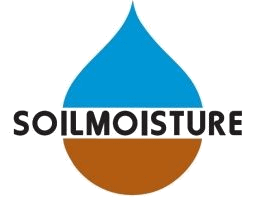 Located in Santa Barbara, California's beautiful central coast, Soilmoisture Equipment Corp. manufactures agronomy laboratory equipment for over 50 years. The company is the supplier of agricultural laboratory and field sampling equipment to over 10,000 agronomists: every day, universities, colleges, government agencies, commercial agriculture, and industry around the world rely on Soilmoisture agronomic equipment. The company has developed a reputation of best in service and quality that spans over a half a century of innovation. Over the years, the company has developed a number of revolutionary tools, which have radically transformed irrigation practices, allowing for the establishment of soil-moisture standards now used worldwide. Soilmoisture continues the tradition of being the first to develop new technologies and has created dozens of innovative tools and systems that make a difference in more efficient research or in solving the complex problems of today's technical world. For more information, visit www.soilmoisture.com.